However, with so many mutual fund options being available in the market choosing the best can be a daunting task for a novice. Following tips will help him get familiar with the world of mutual funds. In view of the volatility of share markets, mutual funds offer a safer route for investing in the stock markets. However, with so many mutual fund options being available in the market choosing the best can be a daunting task for a novice. Following tips will help him get familiar with the world of mutual funds. The amount of money to be invested in different mutual fund categories is an important decision to be taken. Proper asset allocation is of special significance here. Age, financial dependents, occupation are some determining factors, however, the rule of thumb states that the percentage invested in debt funds should equal the age of the individual. If an individual is forty years old then about 40% of investments should be in debt funds. Financial goals: Do you want to invest in your child’s education, your retirement or addition to current income? Time-frame: Do you want the money in six months or you can let it remain for say three years? Risk-bearing capacity: Can you bear the highs and lows of the stock market; what is your tolerance for risks? Different types of mutual funds attract risks of varying levels. Small and mid-cap equity funds have high risks but also offer better returns as compared to debt funds which come with lower risks and lesser returns. Hybrid funds offer a balance between return and risks. It is wise for a beginner to start off with a diversified fund which has a balance of equity and debt funds and then he can move on to high returns and high risk-bearing equity funds. Using the SIP route to investing in mutual funds is the right way to go. This protects you from the after effects of any future stock market crashes. For example, in the first month you buy Rs 5000 worth of mutual funds; the next month if the market dips you will be investing some more at a lower rate thus decreasing your average cost. If the market goes up your average cost will be maintained as you would have bought low in the earlier month. On similar lines, you can resort to SWP or systematic withdrawal plan in case of withdrawing your money. 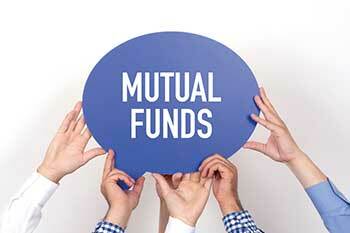 Mutual funds offer a good chance for diversifying your portfolio. Invest wisely and see your money grow!